Other features that come with EMUI 9.0 include better one-hand operations and faster app launch speeds. There will be a new password vault to securely store passwords, faces, and fingerprints and of course, all phones will get GPU Turbo 2.0 with even faster touchscreen responsiveness and improved connectivity. The user interface will introduce the Indian users to HiVision - a camera app that recognizes major landmarks and famous paintings and provides more info through an AR platform, while the Digital Balance panel is simply the Digital Wellbeing feature from the stock Android that allows you to monitor your screen time and to limit it, if needed. 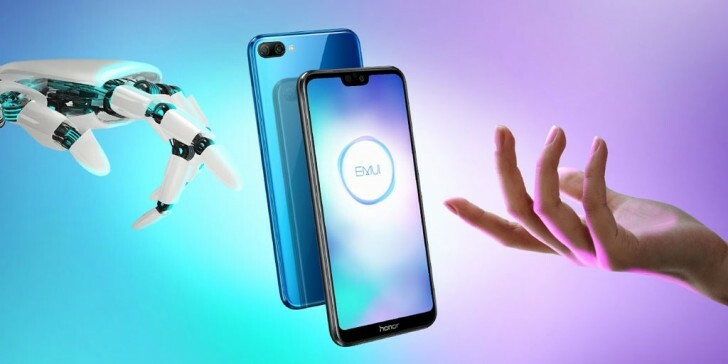 The press message from Huawei did not clarify which devices are about to get the firmware, but if we can trust earlier rumors, the Kirin 970-powered devices will be first in line - Huawei P20, Huawei P20 Pro, Huawei Mate 10, Huawei Mate 10 Pro, Huawei Mate RS Porsche Design, Honor 10, Honor View 10, and Honor Play.